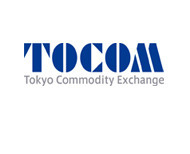 Japan’s main commodities bourse, the Tokyo Commodity Exchange (TOCOM) has posted a 4.7% drop in month on month volumes for August 2013. Its key gold contract dropped over 9%. TOCOM, one of the world’s most liquid exchanges after the CME for commodities trading announced disappointing results for August. Although the metal had a volatile month of price movements, the exchange failed to convert this into strong operating numbers. Overall the exchange reported average daily trading volume at 95,792 contracts per day, a decrease of 4.7% from July 2013. Gold dropped 9.2% to 43,341 contracts; Platinum was down 4.7% to 14,390. The Tokyo Commodities Exchange may get a surprise competitor, the Japan Exchange, a by-product of the recent merger between the Tokyo Stock Exchange and the Osaka Securities Exchange, is planning to develop its derivatives offering and potentially enter the commodities space.